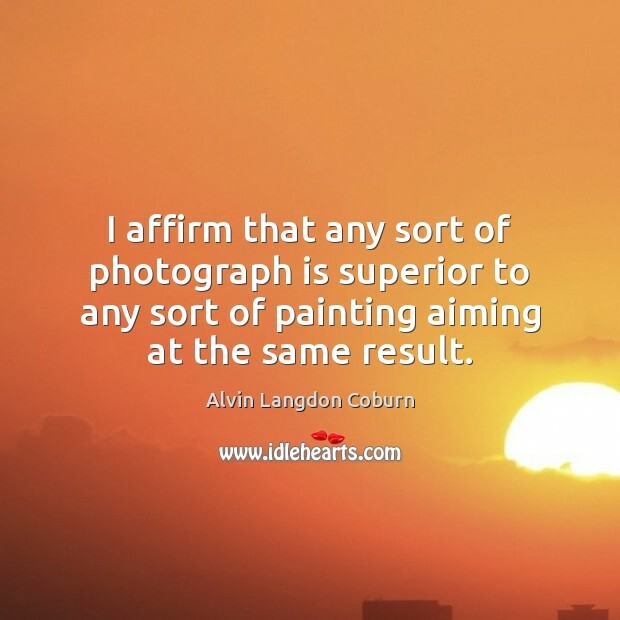 Enjoy the best inspirational, motivational, positive, funny and famous quotes by Alvin Langdon Coburn. Use words and picture quotations to push forward and inspire you keep going in life! I affirm that any sort of photograph is superior to any sort of painting aiming at the same result. 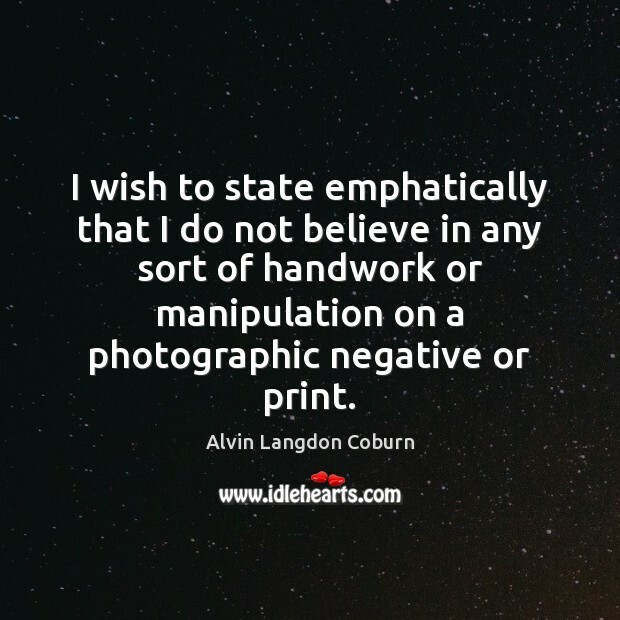 I wish to state emphatically that I do not believe in any sort of handwork or manipulation on a photographic negative or print. Photography makes one conscious of beauty everywhere, even in the simplest things, even in what is often considered commonplace or ugly. 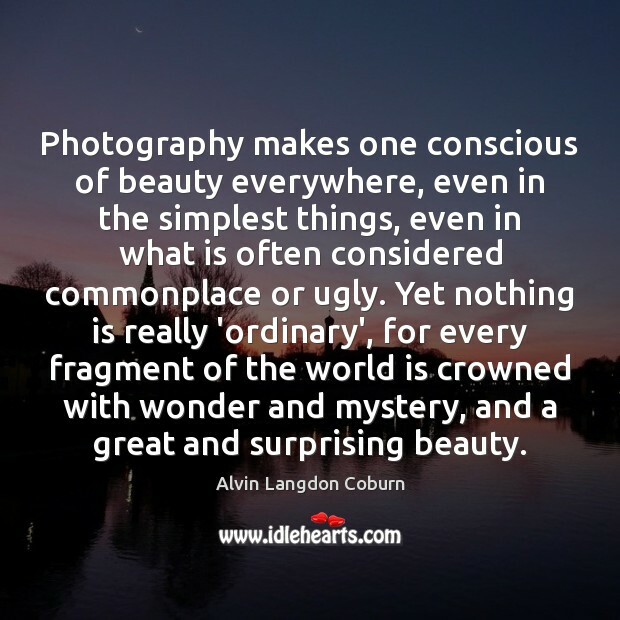 Yet nothing is really 'ordinary', for every fragment of the world is crowned with wonder and mystery, and a great and surprising beauty. 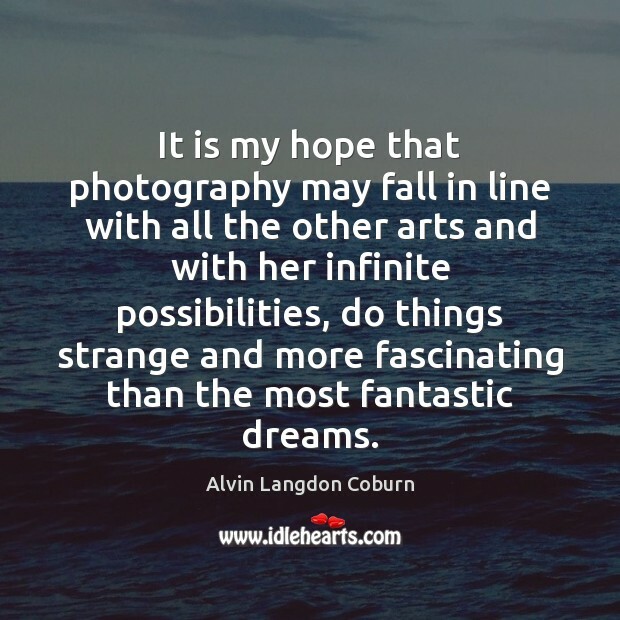 It is my hope that photography may fall in line with all the other arts and with her infinite possibilities, do things strange and more fascinating than the most fantastic dreams. 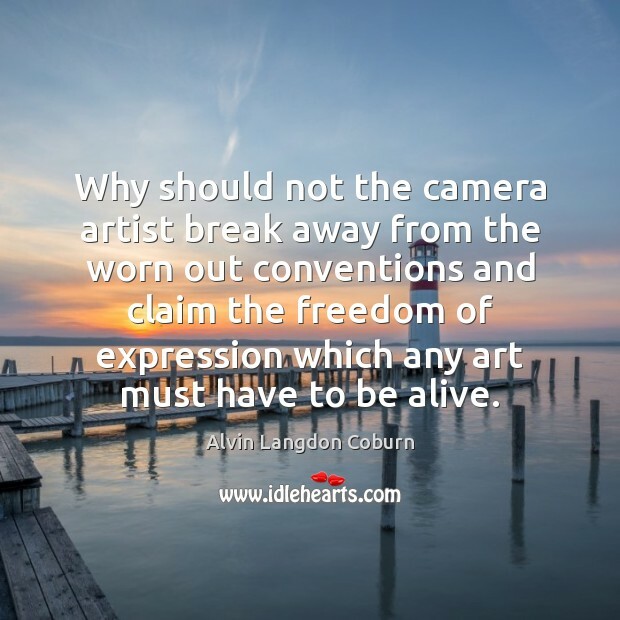 Why should not the camera artist break away from the worn out conventions and claim the freedom of expression which any art must have to be alive. My aim in photography is always to convey a mood and not to impart local information. 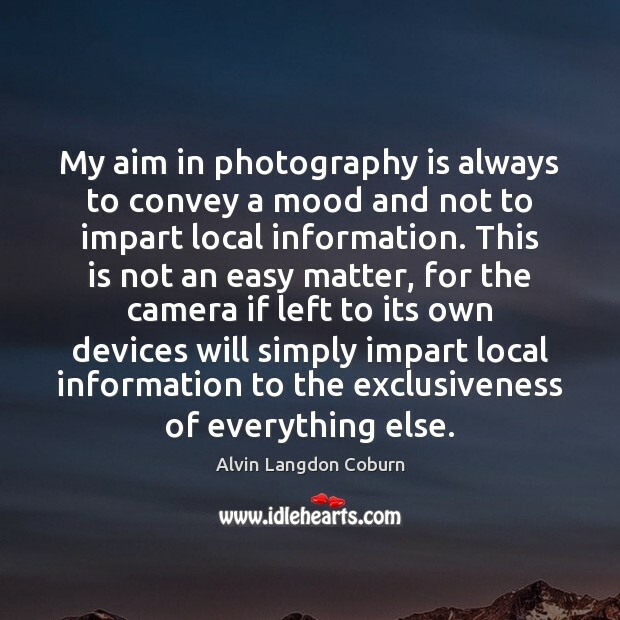 This is not an easy matter, for the camera if left to its own devices will simply impart local information to the exclusiveness of everything else. 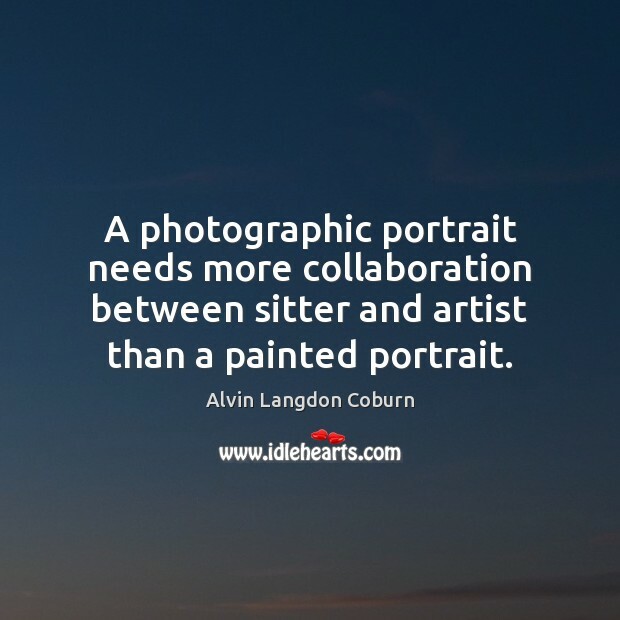 A photographic portrait needs more collaboration between sitter and artist than a painted portrait. 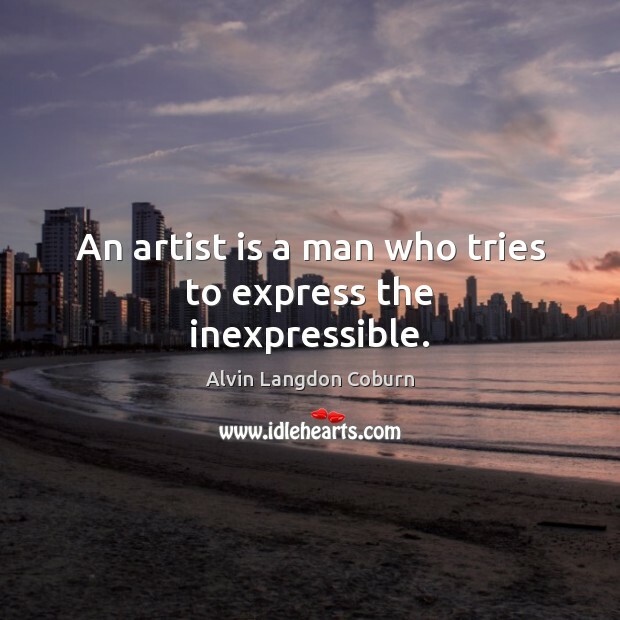 An artist is a man who tries to express the inexpressible.